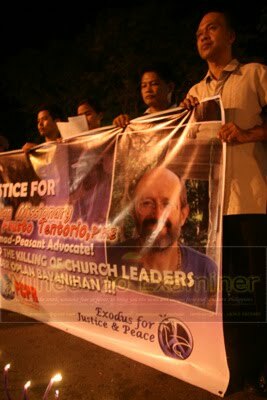 DAVAO CITY (Mindanao Examiner / Oct. 20, 2011) - Church leaders and civil organizations have accused the Armed Forces of the Philippines for the murder of Italian priest Fausto Tentorio, who was killed by a lone gunman inside the compound of his convent in North Cotabato’s Arakan town. The groups also blamed the Aquino administration for its failure to stop extra-judicial killings, citing the murder of Tentorio as the 54th victim in the country. Bishop Modesto Villasanta, of the United Church of Christ in the Philippines, said they have filed a number of cases in court against the Armed Forces of the Philippines which is suspected to have murdered some of their church leaders and personnel. “We in the UCCP believe that many of the EJKs were perpetrated by those in government, a reason we filed legal suits against GMA (former President Gloria Macapagal Arroyo). We are sure that those doing this are from the ranks of our armed forces,” Villasanta said. He said the Aquino administration is no better than his predecessor as far as human rights violations and the unabated extra-judicial killings of church workers and political activists and innocent civilians. 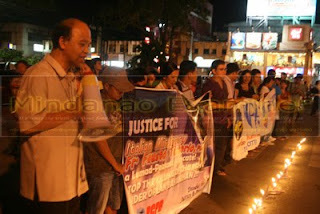 “We strongly condemned EJK even during the time of GMA because it threatens democracy, but it is still happening now. Fr. 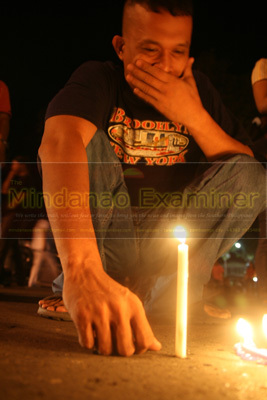 Pops is the 54th EJK victim under this administration,” Villasanta said. Tentorio was also called Fr. Pops by Filipinos. 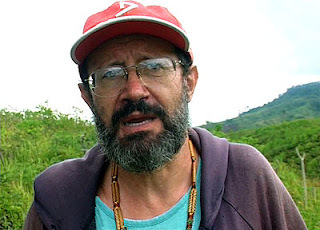 Communist rebel leaders also blamed the military for the killing of Tentotio, who was a known anti-mining advocate and previously accused by the armed forces as a supporter of the New People's Army. The military denied the allegations that it was behind the murder. Peace advocates and human rights groups also held a silent prayer and lighted candles in Davao City to show their indignation over the murder of Tentorio. 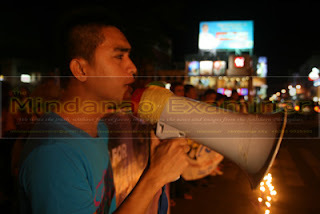 Bishop Romulo dela Cruz, of the Diocese of Kidapawan City, said the body of the slain missionary would be transported to Kidapawan Cathedral from Arakan on October 24 and that a funeral mass will be held the next day and followed by a procession to where the priest would be buried near the grave of Italian missionary Fr. Tullio Favali, who was also murdered by a government militia in Mindanao in 1985.